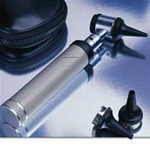 Snap Tight ear tips are available in small and large sizes, soft-sealing and firm models, in black and gray to match stethoscope rim color. Littmann® ear tips offer excellent acoustic seal, increased comfort, durability, a tighter fit to your Littmann stethoscope. For all snap-tight type scopes and firm. Available colors: Gray, Black.